This Saturday, September 16, 3DRetro will be releasing its retailer exclusive Percocet Edition The Prisoner resin figure by Luke Chueh and Munky King! 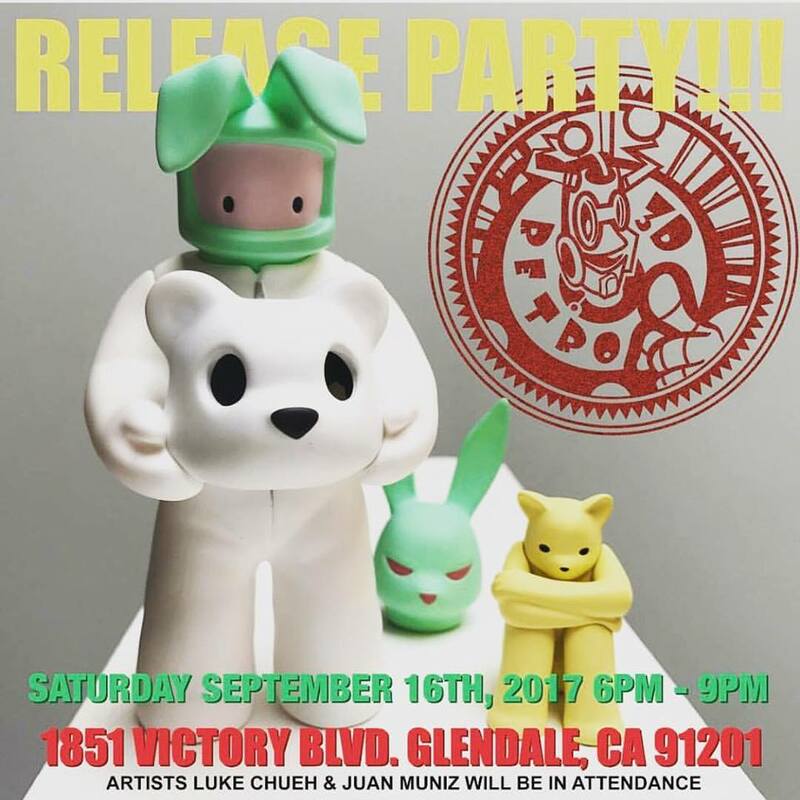 The release party will be at the 3DRetro Glendale store from 6-9pm, and Luke will be in attendance to sign your figures. Sadly, this yellow colorway is the seventh and final colorway of Luke Chueh’s The Prisoner. 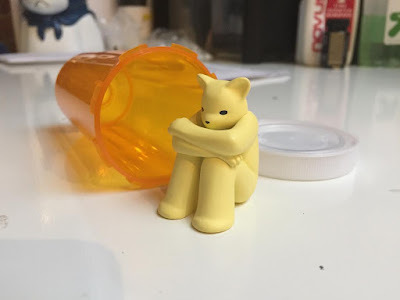 Based on Luke Chueh’s original painting, The Prisoner ponders captivity in its many forms - physical, mental, or in some cases, pharmaceutical. The Percocet Edition The Prisoner features a 1.5” yellow Bear in a prescription pill bottle. Any remaining pieces will be made available at the 3DRetro online store after the release party.